KoKoLoReS: It’s Pose Fair time! Previous post: KoKoLoReS: Lipstick appliers for the Lelutka mesh heads! 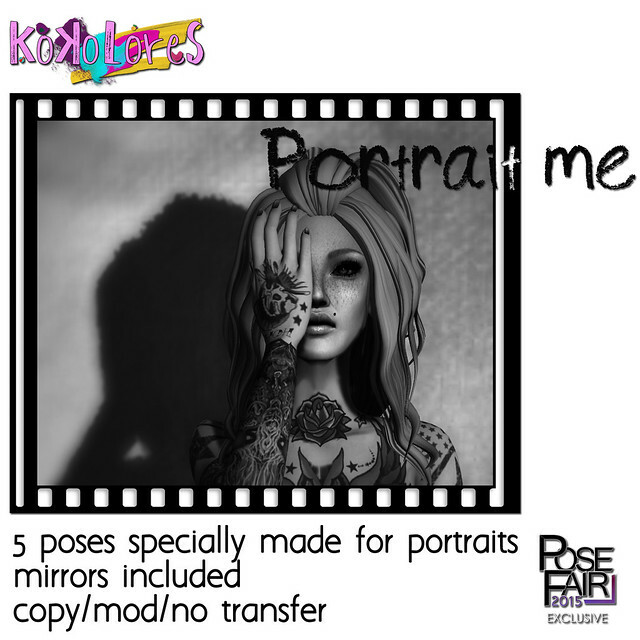 Portrait me is a pack of five poses and their mirrors, specially made to show off your face and hands! Is an original mesh prop with a colour changeable slip cover, choc full with poses: eight single ones and their mirrors, and five poses for you and a friend! Come over to Pose Fair and try them all out!